Its over... & I'm sad about that. Its hard coming out of watching 5 straight seasons. The trainers reaction... look at the girls mouth in the red behind them - she too was like WHAT? If you watched the season, you saw she had issues with her father. When she gained the weight, she felt like he didn't care for her anymore. Then you see this & her dad in the audience cheering her on? That girl... that family... get them to counseling QUICK! He was on the news recently about how he is so poor he has to skip meals to provide for his family. That ain't right. He is talented. But I heard he just got cast as Fiyero in Wicked on Broadway. Anyone watch the Olympics last night? I'm confused how there were games already being played & there was no Opening Ceremony yet. Isn't the point of an OPENING ceremony to OPEN the games? 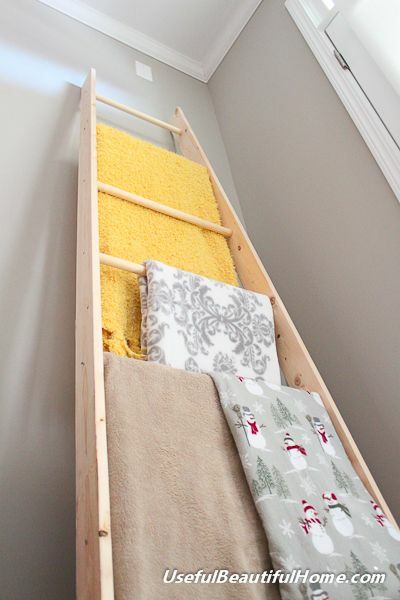 Saw it on Pinterest - a way to store throw blankets! I read an article about why events started before ceremony. Mostly because they've added so many extra events and they want the opening to be on a Friday. Oh and of course money....all about the money tv networks pay to broadcast. So maybe blame NBC? Yes, I have unfriended winter at this point. I mean I gave it every chance, I did. I prefer cold to REALLY hot, but this.is.ridiculous. We have like 4 or 5 inches on the ground right now. Our state is running out of salt for our roads. They are now mixing it with sand. Well now, that doesn't work good AT.ALL. 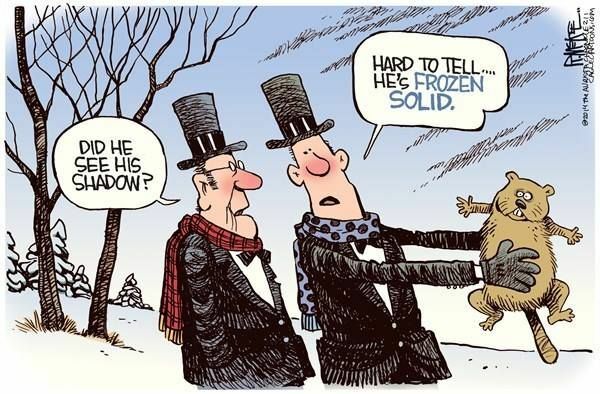 AND WE'RE EXPECTING MORE SNOW!!!!! Yes winter, its over. Your puppies. Can't stand it. UGHHH!!!!!!!! I am praying and I love y'all so much!!! I didn't get the whole let's have games before the games begin. Weird. Did you see the girl that messed her knee up BAD in mogul? (I don't understand mogul, it hurts me. But we will save that chapter for another day.) She asked her parents as they are carting her off the snow, "Do you think I will still be considered an Olympian?" Oh yes, my darling girl, you miss ma'am are in my book an Olympian. What heart!! Loved it!!! Love the picture of Harvey and Sydney. So precious! I am so so so done with winter! Biggest Loser-I too was a little shocked at her family's reaction. Even if her new weight falls within normal limits for her height, she didn't look good. Not healthy. I could hardly watch. When you looked at Tumi, the at home winner who also lost a tremendous amount of weight, she looked great, really healthy and strong, which is how most winnners look. Rachel looked brittle, and seemed to have lost all muscle tone. There was an icky feeling to it this time round. I hope the issues, whatever they may be, are addressed away from cameras. I'm the worst sick person ever too! Hope you're feeling better soon! I would looove to see Wicked again! So awesome that you've seen it twice! I don't understand about the opening ceremonies, either. Or how athletes have to break down the door to get out of the bathroom. I'm experiencing the same thing right now: headache & just not feeling good. Thanks...I think you spread it through Instagram. Great post! Hope you are feeling better!